Our Team Are Insulation Removal Experts! Why Might Your Insulation Need Removal? Any number of things may have harmed your attic’s insulation over the years, and caused it to be in less than optimal condition. It might not seem like a big deal, but if your energy costs have been soaring, this is likely the reason why. If your insulation has been degrading over time, it’s not keeping the heat in very well, which is costing you. More worrisome than that, particles of it can easily get into the air of your home, and be breathed in by your family. This can cause issues with children, the elderly, and those with breathing disorders. If there’s been a fire in your home, smoke may have damaged the insulation. Water is another huge problem, as aside from just harming it, mold could begin to grow. This mold can also enter your house, and cause more health hazards for your family. 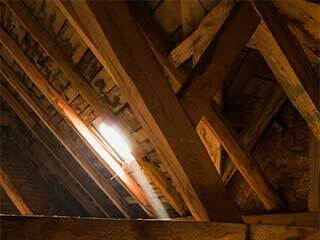 Pests infiltrating the attic are more than just a nuisance. Aside from impairing the insulation, their waste could have infected it with disease, which can get into your home. Whatever the trouble, our experts will be able to handle it! Having someone inexperienced attempt to remove the insulation could be troublesome, as doing so may cause bits of it to disperse all around your home. That’s the opposite of what you want! With us, you can trust that we’ll use top-quality equipment to safely and easily suction up every piece, then dispose of it. We’ve been working on houses like yours around the area for years, so you know you’re getting the best service around. We also install new insulation, so rather than needing to find another company to do so, we can assist you there as well! Contact Attic Cleaning Simi Valley today, and find out how we can get your home safer, and slash that energy bill.